Nollywood actress, Mercy Aigbe suffered a failed Photoshop attempt to enhance her figure. Mercy Aigbe has been caught on social media by her fans. The Nollywood actress suffered a failed Photoshop attempt to enhance her figure. While trying to manipulate the picture to enhance the size of her hips, the photo editing disfigured a pillar close to her in the process. 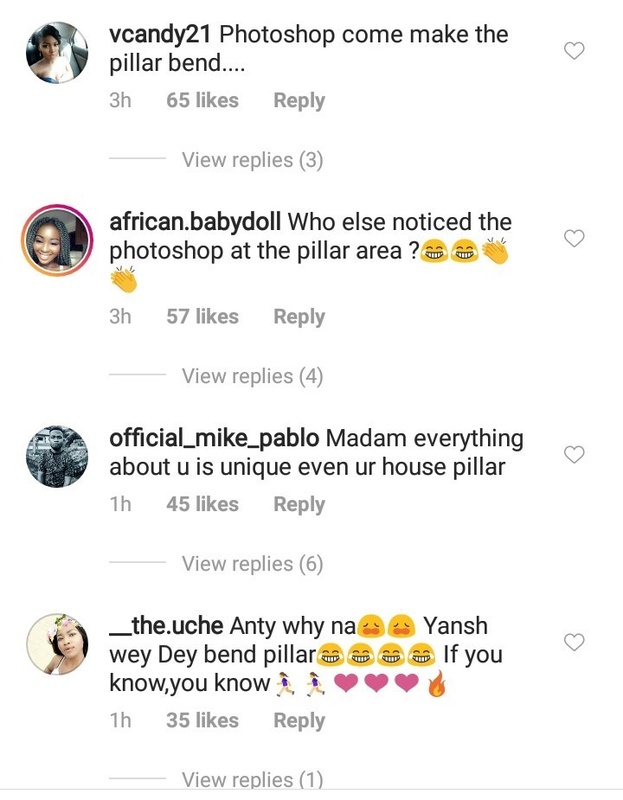 What started out as ‘innocently’ sharing another beautiful picture on Instagram turned into a jab fest as fans didn't hesitate to point out the flaw while throwing jabs in the process. Goodmorning Guys ?? Keep pushing , Keep Grinding ! Go Get it ? Flawless Skin Glow @flawlessbymercy Outfit from @mag_divas Securing the Bag ? ?